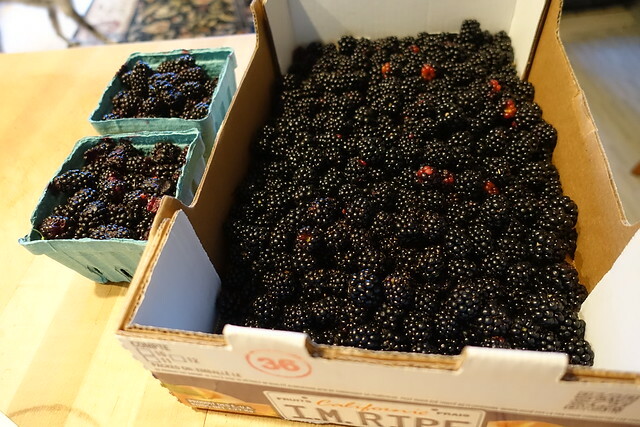 Yesterday I carried a flattened cardboard box to the recycle Dumpster in the office parking lot when what to my wondering eyes should appear but a wall of ripe blackberries. Nostalgia hit me between the eyes, and my mother was sending me into the house to get a bowl. I had to remind her that I was “on the clock” and could pick for only 10 minutes. At 5 o’clock I was back at the bushes with pie on my mind. I didn’t have to twist Ruby’s arm to pick with me. 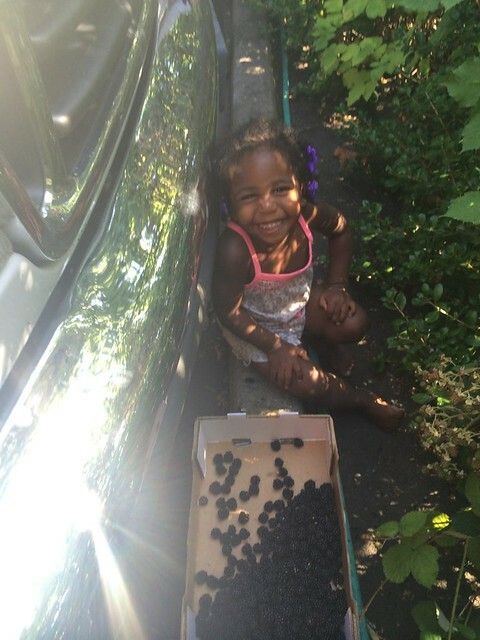 Of course two-year-olds pop more berries in their mouths than in the bowl. Looks like a pie to me. Most would wait until the filling cooled and set. No time for that. 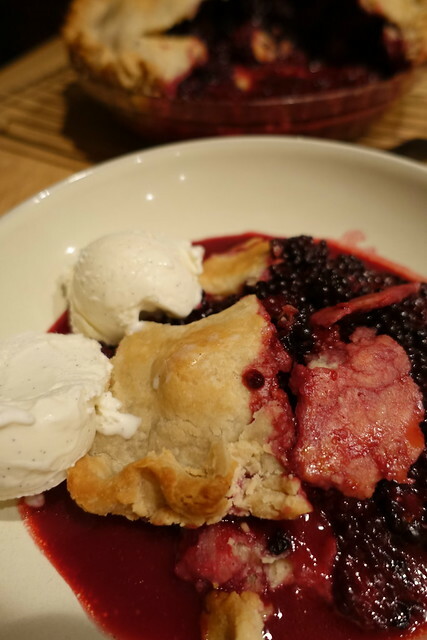 4 Responses to pie, oh my! Wow, gorgeous, you guys are ahead of us, we won’t have ripe ones until the end of next month! I’d given up on pies . . . but have baked two in two weeks thanks to cheater crust! Like magic, right?! 🙂 YAY!